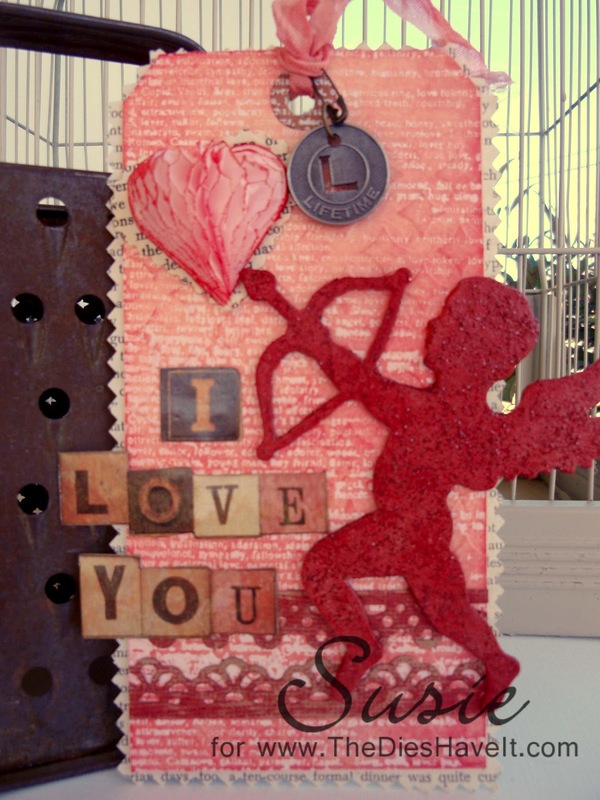 Did you hear that Tim Holtz is no longer doing the 12 Tags of Christmas? It's true! Now he is designing the 12 Tags of 2012. And of course I am playing right along. Here is my February tag. It is similar to Tim's. The best part for me is that I didn't spend any money I used what I had. I cut honeycomb paper using a heart Spellbinders die. That honeycomb paper is super fun to use!